Boston City Campus & Business College was voted best computer training college by The Star readers in 2009, 2010, 2011 and 2012 (Star Reader’s Choice Awards). As Boston does regularly with all courses, they are currently updating the IT courses to MS Office 2013. This means that students that enrol at Boston for further study in 2014 will use the new software. At the same time, Windows 8 – which in the past was offered at some campuses only – will be rolled out to all Boston campuses nationwide as an independent module next year. Boston offers various training options in IT including Microsoft Certified Solutions developer (MCSD); Microsoft Certified Solutions Associate (MCSA); Microsoft Certified Solutions Expert: Private cloud; Microsoft Certified Solutions Developer; software specialist skills programme accredited by MICT (Media, Information, Communication Technologies) Seta; A+ certification and Network + certification from CompTIA; Cisco Certified Network Associate Certification; Security + certification and Server + certification from CompTIA; computer clerk skills programme with credits from MICT Seta; data capturer skills programme accredited by MICT Seta; and an introduction programme in web and graphic design. So who will be affected by the changeover to Ms Office 2013? Students that enrol for these IT courses and learning programmes will automatically receive training in the new software but Olivier explains that other students will also be affected by the software upgrade. Olivier adds that Boston City Campus & Business College is a Platinum class education provider partner of CompTIA, the Computing Technology Association, representing 89 countries globally. Boston not only certifies the most individuals on CompTIA certifications in the sub-Sahara African region, but Boston students often show a higher pass rate than students from other training providers. To find out more about courses, learning programmes and entry requirements or to receive free career advice, visit the Boston campus nearest to you. If you are already employed and want to brush up on your IT skills, Olivier suggests that you check with your line manager about the software updates envisaged for the near future so that you can align your learning with the company’s progress in IT. Reasons to brush up on IT skills? 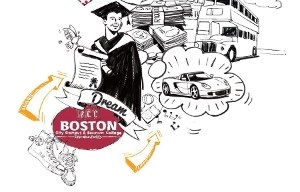 Article issued by Boston City Campus & Business College, for more info click here.